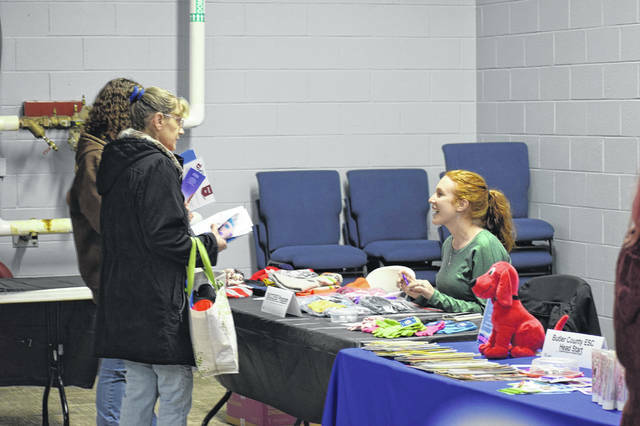 The annual Point in Time count and Homeless Resource Fair was held on Tuesday, Jan. 22, bringing together over 20 community partners with area homeless individuals to share information and resources. The PIT count is required once a year for federal funding purposes, and is intended to give a rough idea of the size and scope of homelessness in the area. Groups of volunteers were given locations to check for homeless individuals. If a shelter was found without a person present, care packages with resources were left for when that person returned. 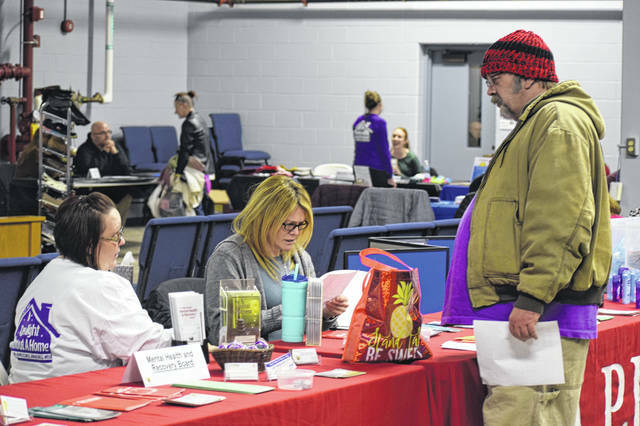 PREBLE COUNTY — The fourth annual Point in Time count and Homeless Resource Fair was held on Tuesday, Jan. 22, bringing over 20 community partners together to provide area homeless individuals information and resources. The Homeless Resource Fair was held before volunteers split off with local law enforcement to search for area homeless individuals and to see their living conditions. The HIT Foundation will not have final results from the homeless count until the beginning of February. The PIT count is required once a year for federal funding purposes, and is intended to give a rough idea of the size and scope of homelessness in the area. 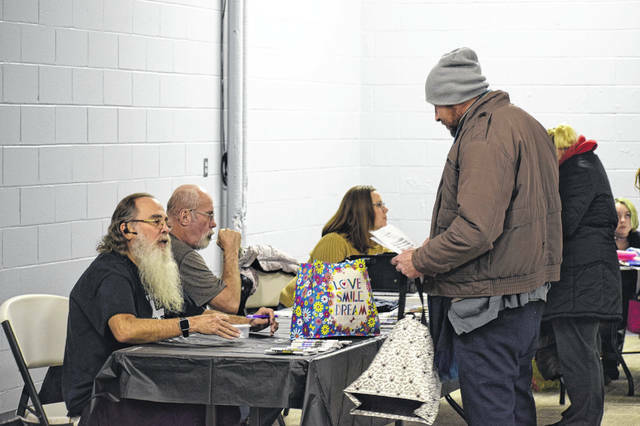 However, Preble County does things a little differently by hosting a Homeless Resource Fair prior to the annual count. The annual fair has been going on for four years now, originally created to connect the area homeless with the various organizations available to help them. Now, the resource fair helps to bring homeless individuals into shelter before the count even begins. “The idea is if we have to count our homeless population anyways, an event like this will help draw them in and we connect them to resources at the same time. We were not only trying to reach actively homeless people, but also at risk households. If we can connect an at risk family to over 20 community partners in one evening, there is a better chance that they will not become homeless,” HIT Foundation Homeless Services Manager Toni Morgan said. “The Resource Fair was a unique opportunity for them to access information, learn about programs, and in some cases, apply for resources with over 20 partners in one location. Since Preble County has no public transportation, it makes accessing services that much harder when you have to jump from place to place. In addition to the partner information/services, each table had some sort of give away like deodorant, tooth brushes, hand warmers, hats/glove, etc. for all that attended the Resource Fair. Kettering Health Network had an entire team both at the Resource Fair who then volunteered during the PIT count. For Clinical Nurse Manager Jeremy Meredith, it is important for their organization to outreach and be a part of the community. “We see a high percentage of the population who would attend an event like this, so it is an extension of what we do. We really try to network and outreach with the community, not just our four walls. We really want to get out and be part of the community,” he said. “We also want to make sure that the population here knows we have medical resources for them in the county. Even though we’ve been here for a few years, we still like to make sure the public knows where we’re at. Then, we like to network as well with some of the vendors here and find out some of the different resources the county has. The Preble County Council on Aging was also represented at the Resource Fair. 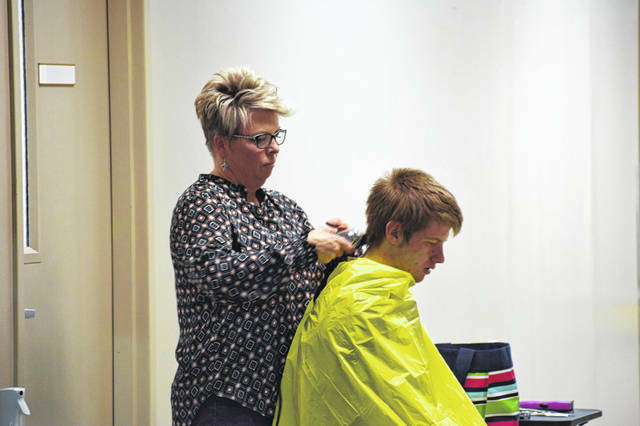 As Service Navigator Heather Seymour noted, there are homeless senior citizens in the county and it is PCCOA’s responsibility to represent them as the Senior Center in Preble County. Community Action Partnership attended the Resource Fair to show support and distribute information on their Getting Ahead program and other services they offer. 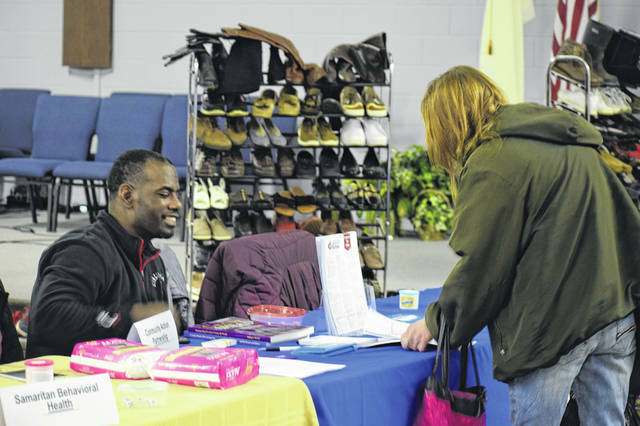 While the Homeless Resource Fair is something unique Preble County does, the Point in Time count is actually required by HUD, the U.S. Department of Housing and Urban Development. On the night of the count, the HIT Foundation is required to offer shelter to all homeless individuals identified. Last year the Point in Time count showed there were 25 sheltered and 11 unsheltered homeless people in Preble County. Of the total 36, there were 28 adults and eight children. “The Point In Time count is a HUD required count of your sheltered and unsheltered homeless population occurring on one night during the last 10 days in January. Since we are part of the Balance of State, we receive our direct guidance from COHHIO and they set the date annually. We hold planning meetings in the weeks prior to the count, and identify any known locations that homeless people might take shelter and a list of places like Emergency Rooms and 24 hours grocery stores to make contact with,” Morgan said. 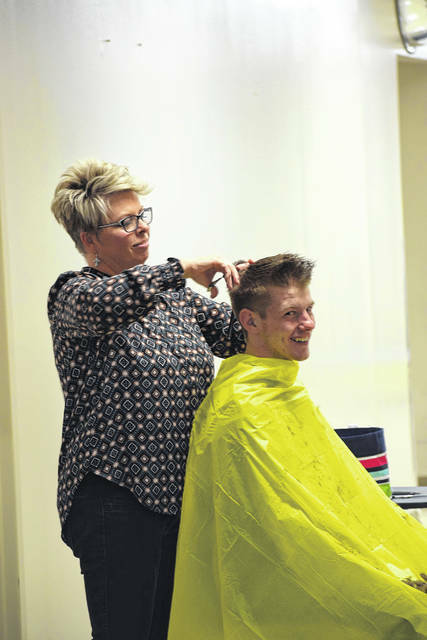 “The HIT Foundation has been coordinating the Point In Time count for four years and have seen a significant decrease in homelessness in Preble County. With that being said, it is definitely still a problem within our community. We operate a 10 bed homeless shelter which has been full with a waiting list since we opened in 2015. In 2018, the HIT Foundation served 72 households in shelter. 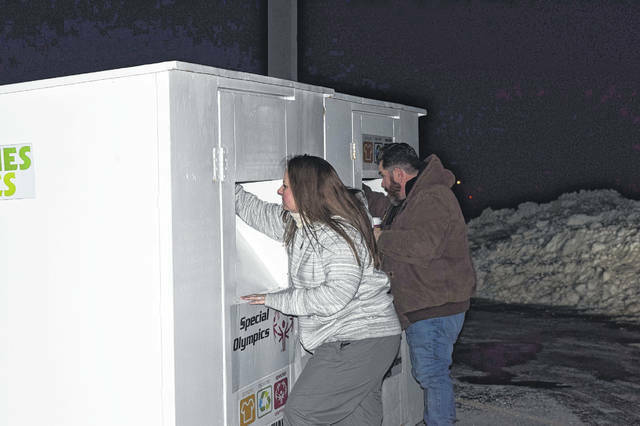 “So far this winter season, 18 people have accessed cold shelter, Preble County’s volunteer staffed emergency shelter. The main cause of homelessness both nationwide and here is Preble County is poverty. Our homeless population faces many barriers such as mental health and addiction, but the only barrier that is consistent among all of our clients is poverty. Once you factor in the lack of affordable housing options, it is easy to see why we are fighting this battle against homelessness. “As service providers, we are always looking for the missing link. What will reconnect this person and help them rebuild? By bringing all of the links together, hopefully it was easier for folks to start that process. Beyond that, over 20 partners, which included medical services, faith based outreach, recovery programs, school liaisons, local pastors and even a hair stylist along with the usual social service agencies came together to let our neighbors that need help the most know that we are here for them. 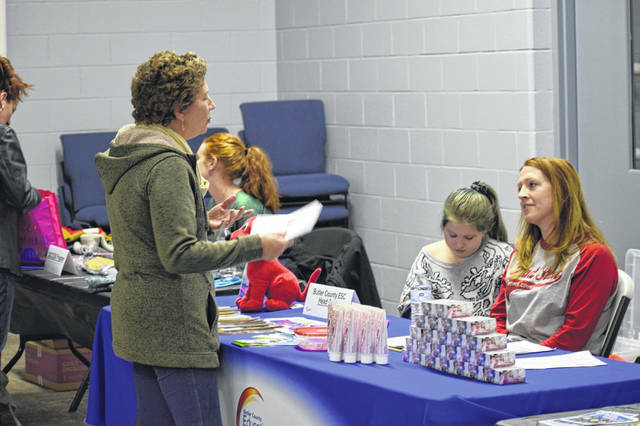 https://www.registerherald.com/wp-content/uploads/sites/41/2019/01/web1_Fair1.jpgThe annual Point in Time count and Homeless Resource Fair was held on Tuesday, Jan. 22, bringing together over 20 community partners with area homeless individuals to share information and resources. 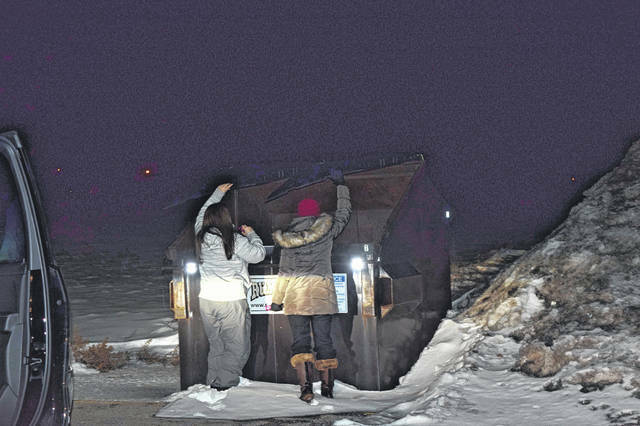 https://www.registerherald.com/wp-content/uploads/sites/41/2019/01/web1_Fair8.jpgThe PIT count is required once a year for federal funding purposes, and is intended to give a rough idea of the size and scope of homelessness in the area. Groups of volunteers were given locations to check for homeless individuals. If a shelter was found without a person present, care packages with resources were left for when that person returned.